I thought about how a huge part of the problem we face with peanuts and tree nuts on planes is actually a supply-side problem. Sure, we have people who really, really want airlines to serve them their little bags of peanuts, but if alternate snacks are on a particular fight, there usually aren't any tears over it. However, there's another group of people - those who brought their peanuts/tree nuts with them on the flight. I can understand their feelings of slight irritation at being asked to not eat the snack they just paid a "convenience price" ($$) for, just moments earlier. 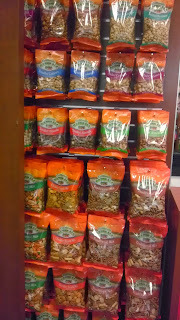 When you walk by those airport kiosks, you see racks and racks of nutty "noms" for sale! So, back to the supply-side problem. 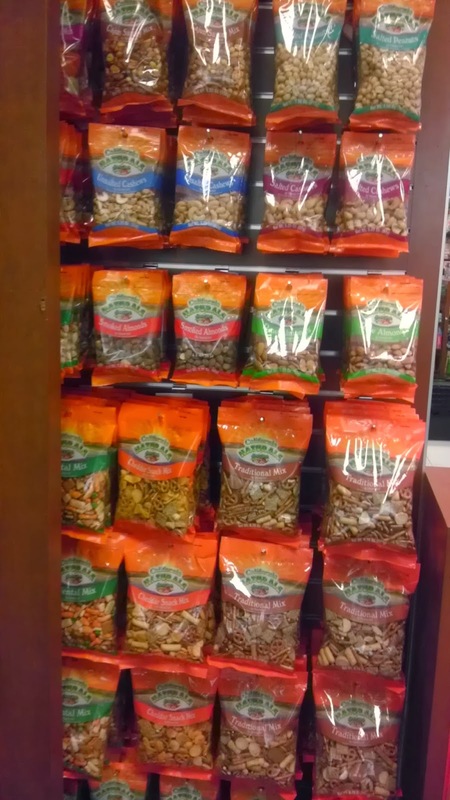 Even if all airlines banned peanuts and nuts on all flights, today, there would still be mountains of them for sale throughout the airport. I don't know what the solution is, but I think it's one of the many topics we can discuss at the conference. 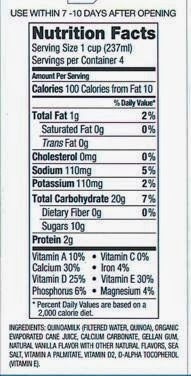 I think if we can get even a "peanut-reduced" airport/airline environment, things would be a degree safer for peanut/tree nuts allergic passengers. Plus, if the airlines agree to discontinue the service of peanuts/nuts on flights with an allergic passenger are aboard, and less passengers are boarding with their own, then there should be less agitation when passengers are asked to forego nutty snacks. We've just received word from Kids with Food Allergies/AAFA about an enlightening study, "Anaphylaxis in America" that was recently published in the Journal of Allergy and Clinical Immunology (JACI). You can view the full text of the article here. Dr. Robert Wood was the head researcher, along with 10 other authors and research panel members. The study was conceived and conducted by the Asthma and Allergy Foundation of America (AAFA), with the financial support of Sanofi, maker of the Auvi-Q. 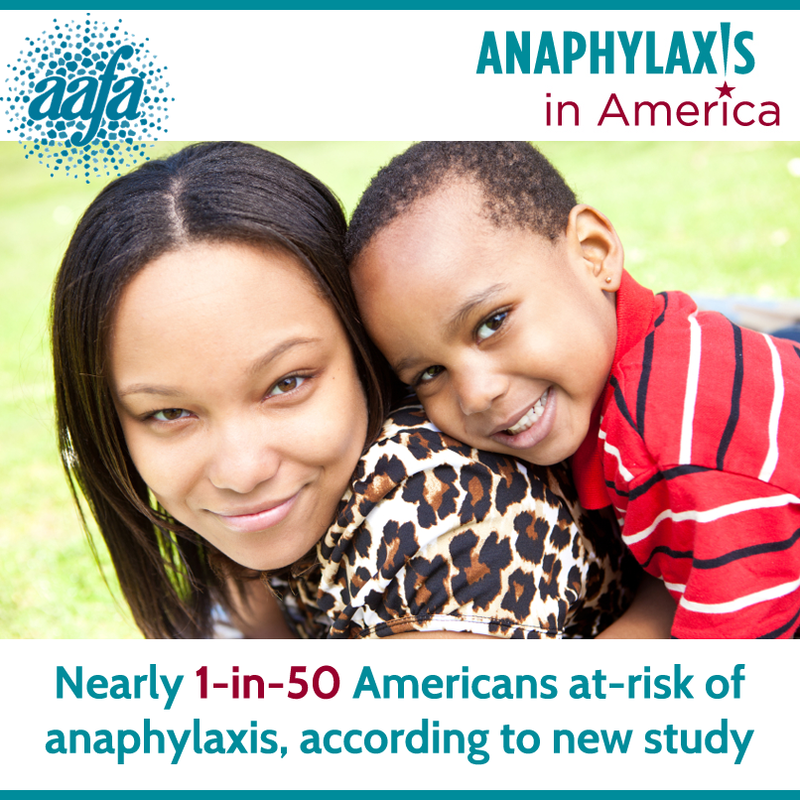 This study sought to get a better understanding of the prevalence of anaphylaxis in America, but reaching out to a broader population. Tens of thousands of numbers were called, in order to find individuals who have had an anaphylactic reaction within the past 10 years. If the patient was a child, then the caregiver responded on their behalf. From this search, they found 1,059 patients to survey. They also interview 1,000 members of the general public, to assess awareness levels and attitudes surrounding anaphylaxis. For the purposes of the study, they defined anaphylaxis as "a severe, sudden allergic reaction that typically involves two or more [systems], such as the skin, airways, lungs, stomach, heart and blood pressure." The study included anaphylaxis from all triggers. 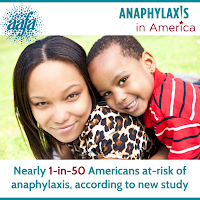 They found that anaphylaxis was "very likely" to have occurred in approximately 1-in-50 (1.6%) Americans, based on certain stricter criteria and "probably occurred" in roughly 1-in-20 (5.1%) Americans, based on slightly broader criteria. This includes patients of all ages. They found that the top 3 causes of anaphylaxis were medications (34%), food (31%) and insect stings (20%). Idiopathic (reactions with an unknown cause) were found in 11% of participants and latex was the cause in 2.6% of patients. In what I feel is a disturbing, yet unfortunately unsurprising, finding is that when surveyed about actions taken during a reaction, roughly 27% of patients self-administered anti-histamines as their treatment method, whereas only 11% self-administered epinephrine. To me, this shows an excessively dangerous reliance on antihistamines, and a dangerously low usage rate of the life-saving treatment with epinephrine. Another unsettling finding was under the "Current Epinephrine Practices" section. Note that the persons surveyed have experienced anaphylaxis, before. Despite this, the combined percentage of those who have epinephrine prescribed and do not carry and "none of the above", which I take to mean no prescription and do not carry, adds up to around 60% of patients. That is simply too high. When asked about their planned treatment method for future reactions, roughly 36% said they would use antihistamines (NO!!!!) and 44% said they would call 911 (YES!!). Another 32% said they would use epinephrine, which is good, but how can they, when do many of them don't even have it? The study also showed a lack of patient education about what, exactly, anaphylaxis is and how to deal with it. The bottom line is there is still so much education that needs to be done, from every angle. Physicians need to do a better job. We, as advocates, need to work harder to get the facts out, to the general public. The numbers are rising and fewer and fewer people are living lives that are completely untouched by anaphylaxis. Many thanks to JACI for making this journal article free to the public! I can't think of too many things more important in our anaphylaxis advocacy toolbox, than expanding the number of people trained to deal with an anaphylactic emergency. Surely, our #1 goal is to remove all causes of anaphylaxis, but that is a long-term goal and there are people who might need assistance, at any moment. As I've said in my post about the training course, earlier this year, "A trained world is a safer world." The more people walking around with the knowledge of how to recognize and treat an anaphylactic emergency, the better! In the interest of increasing the number of rescue-ready individuals, Elizabeth Goldenberg, of OneSpot Allergy and EpiCenter Medical, has set up an IndieGoGo Fundraiser to raise funds to provide her top-notch training course, for free, to educators in Canada and the U.S. Educators are responsible for groups of several children, at one time. They are most often dealing with young people, in which the populations of allergic conditions is exploding. Two of our main training goals should be to train everyone in our families, who might have a care for our allergic loved ones and to also get this training to educators, who are caring for large groups of children, some of whom might not even be aware that they are allergic. As a contributor to this campaign, donors will receive a number of course codes equal to those they sponsor for educators. If a donor sponsors one class, they will get a free class code to distribute as they see fit, while simultaneously covering the training for an educator and spreading the knowledge far and wide. If they sponsor 3, they will get 3, and so on... There is also a $5 level available for those who wish to contribute to the project, but cannot cover the cost of a full course. Every dollar (U.S. or Canadian) helps! I am honored to be a part of this campaign and I hope everyone else can see the true benefit of this project. Thank you for your time and we hope for your generous support! 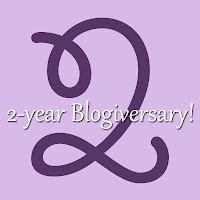 My daughter will be 5 years old next month, and her food allergies were diagnosed 3 1/2 years ago, and today marks 2 years since I started this blog! 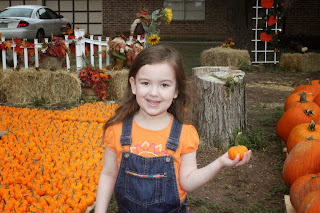 I cannot believe how quickly any of those amounts of time have passed! What does atopic mean, you ask? Well, according to Wikipedia, "atopic syndrome is a predisposition toward developing certain allergic hypersensitivity reactions." When I stumbled upon this Wikipedia page, I felt like I was reading all about the things she experiences. "Atopy (atopic syndrome) is a disease characterized by a tendency to be 'hyperallergic'. A patient with atopy typically presents with one or more of the following: eczema (atopic dermatitis), allergic rhinitis (hayfever), allergic conjunctivitis, or allergic asthma. 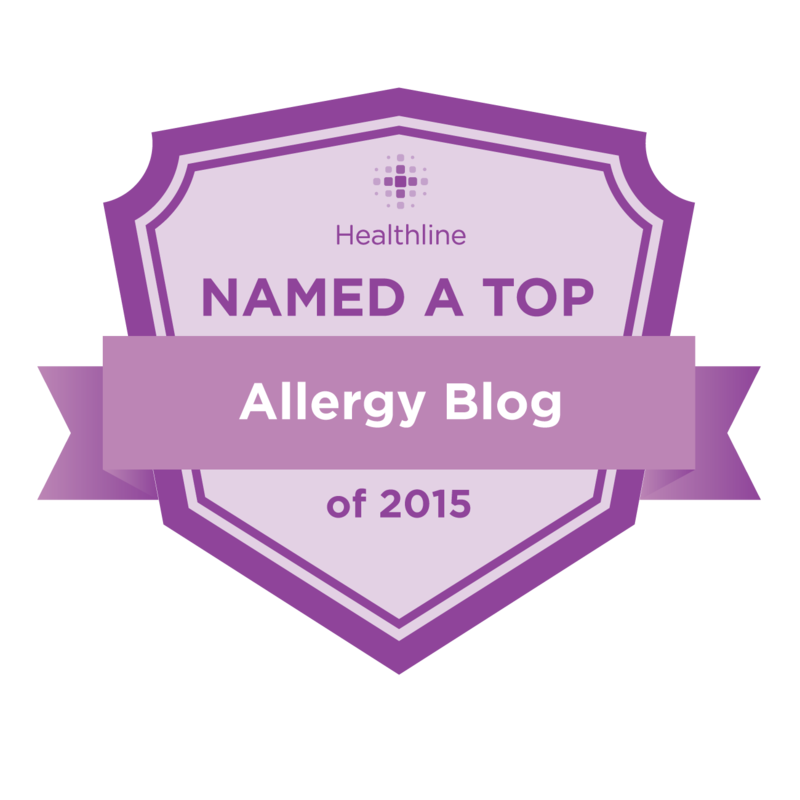 Patients with atopy also have a tendency to have food allergies." I feel like we've made some progress over these years. My daughter's eczema is relatively under control, especially in comparison to her early days. I think back on her days of frequent nebulizer use and now I think about how it's hard to remember the last time we even used it. 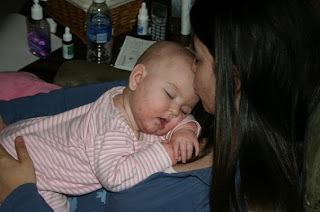 It has been about 3 years since my daughter's last major allergic reaction. I still have anxiety over issues we have yet to face, since she is still home with me, but I can see things are definitely improved from those first couple of years. Even with all that has improved and as far up the learning curve I've climbed, I find it's sometimes like a sine wave, where we slide back down the curve when new challenges present themselves. The good thing is, though, that I know I've made it up previous hills and there are so many helpful people out in the world, to assist in scooting us up along our next hill. This blog was started in the hopes of helping others, as I felt I was left by our physicians to fly solo, with little to no guidance, and I am amazed at the wonderful community that exists out in the blogosphere, online support groups, etc., with so many to offer their support and knowledge. I am excitedly looking forward to meeting many of these fabulous community members at the Food Allergy Bloggers Conference, in a few weeks! I know that I am incredibly lucky to be able to attend and if there is any topic that you would like me to bring up, or found out more about, during the conference, please send me a line. You can follow my tweets, along with everyone else's, using the hashtag #FABlogCon. Thank you all for taking the time to read my blog. I hope that I have been of some help and if you have ideas about how I may better assist you, please let me know. Do you work in a job where you interact with customers, patients, clients, etc.? Here is a partial list of the kinds of employees I'm thinking of when writing this post: cashiers, copy shop employees, bank tellers, post office staff, front office assistants, doctors, nurses, pharmacists, etc. If you interact with anyone in a manner where you touch something that you give to the general public, or you actually have to touch the patients/clients, yourself, I ask for a moment of your time. I understand that many jobs are fast-paced, leaving little time to sit down for a decent meal and you find yourself needing to snack throughout the day, to make it through your long shifts. I have a neuromuscular condition that requires that I eat regularly to keep my strength up, so I truly understand the need to eat that often exists, in addition to the basic need for survival. However, I ask you to consider the possibility that a growing portion of the people that you interact with throughout your day, might have food allergies. Nobody would ask that you simply stop eating, because you need to eat to live. Perhaps, though, you might consider washing your hands before you continue to serve your customers, or have a general awareness of the state of your hands, clothing and work area, as it pertains to food residue. Another time, I was at an exhibit with my daughter and she wanted to go up and visit this one table, but the ladies managing the table were eating Doritos, and peanut butter granola bars. These were hands-on exhibits, so we skipped that table. 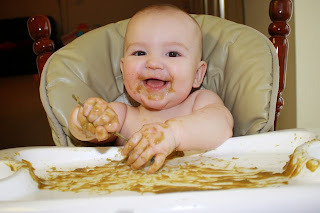 I still had to wipe her hands and some objects at other tables, because who knows what was eaten before we walked up, but eating-in-progress is more of an immediate issue.